Are you looking for a stunning graphic photo for your Instagram story? We all know that story section comes in the first place on Instagram and people check to that portion at first. But, creating an attractive Instagram story is not an easy task that people will love. In this article, we will share some working methods that might be helpful to design such an amazing Instagram story easily and quickly. You can make & share Instagram stories adding multiple images at once. This feature is used to market the products for the audience as well. There are some online tools or apps can create beautiful and eye-catching Instagram story design for professional purpose. Canva is the easiest one you can use among those of the online tools. That might attract more Instagram users if you are marketing any products or services. 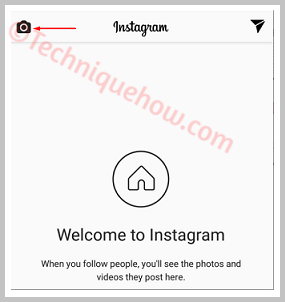 Now, check out the guide below to create Instagram story step by step. Step #1: Uploading multiple images on Instagram stories is similar to uploading multiple images in a regular Instagram Feed post. 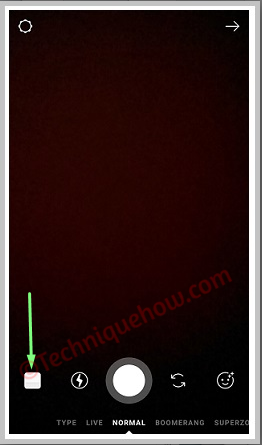 In order to upload images from the camera roll or gallery as stories, a new button on the upper left-hand corner is visible. This icon will now allow us to select up to 10 images at a time which might be visible in the stories section at one time. Step #2: Once you tap on the camera icon, you can take pictures or select pictures from the gallery, one by one. The number which pops up in the right-hand corner gives us the appropriate order in which the pictures will appear in the story. Step #3: After tapping on the “Next” option, you will be redirected to the edit section. In the edit section, we can edit the individual image one by one by applying the appropriate predefined filters to go with each image which appears at the bottom. Step #4: You can also apply text, doodle it, add GIFs and stickers to go along with the image. Note: Text filters like font style and colour can be applied as per the requirements after the text has been entered. There are many choices of font styles to go with. It can be also used to tag our best friends who are part of the story. Moreover, adding a location filter can give you the added benefit of tagging the place from where the media was captured. Which means, we can easily tag our favourite restaurant or party place when we are uploading the images long after the party is over. Step #5: When each and every picture is ready to be uploaded, click “Done” and the perfect story is created. Multiple upload feature can also be used in offline mode. 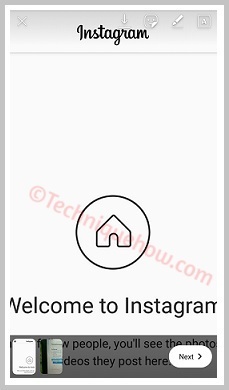 Go to your Instagram app and Click on the Add (+) button, you can get the button on your Home Screen. Now tap on the Gallery option and tap the multiple images icon which will present in the right corner of the recent images. Choose images by clicking on images. A number will be displayed next to every selected image. This order will be uploaded. Click on the “Next” option which is present on the top right corner on your screen. Now you can rearrange and filters your images. From your selected images, you can remove any image. For rearrange your images, you just hold on the image and move to another folder. If you want to delete an image, you just hold the image again and drag it in the delete icon. Click on the Next button, when you satisfied with your post of image album. Then tag your friends or give a caption that you do normally. Now finally click on the “Share” button and your images post will ready to share with your Instagram followers. Open your Instagram app and swipe screen the right to left side. After swiping the screen you can get a Camera option which you get on the below middle side on your display. Tap on this “Camera” button. 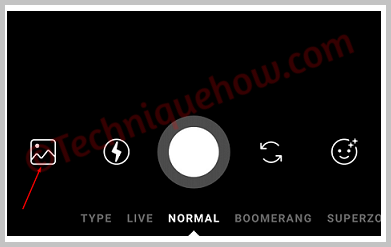 Now you can get many options like type, normal, boomerang, rewind, and hands-free, and also a Gallery option to post your images on your Instagram stories. Using this type of option you can share a message with your Insta friends. Select the Gallery images for a post in your Instagram stories. But after selecting the images you get more option to edit your images. If you want to edit your images then definitely you can edit or if you want to write anything along with your image then you also do this. Otherwise, you post images directly. If you edit your images then click the “Right” mark or if you write any text with your images then click the “Done” option in the upper right corner of your screen. After completing the editing your images, now time to post your image stories. When you want to post images instantly, then click your images and post directly. These are the simplest steps by which you can create an Instagram story easily. Just take the shots from your cam or add images from your gallery to create a nice looking Instagram story.